This month we are learning, “God’s rules are good.” God loves us so much and wants the best for us. In the Bible story of The Ten Commandments we learn about 10 rules that God gave to Moses. These ten rules are what God wants us to obey to live the best life. 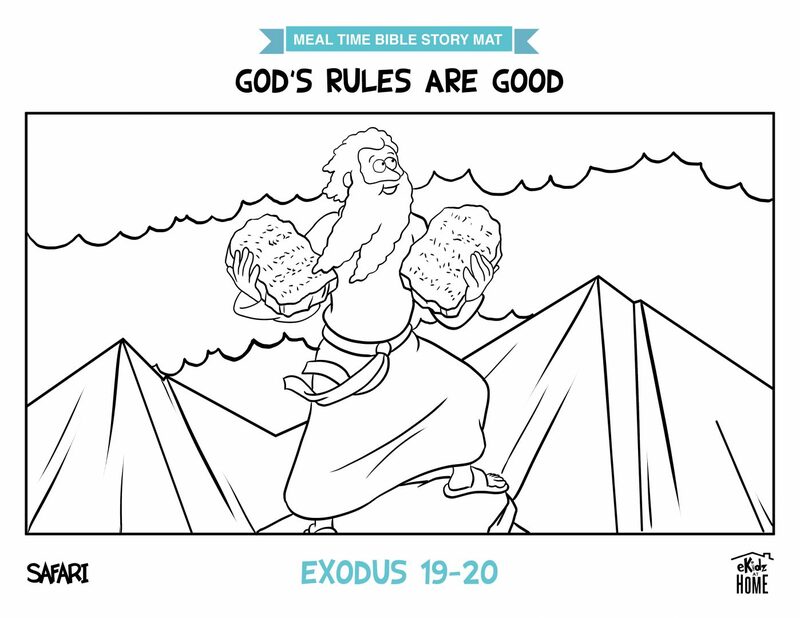 We will learn about the story of Moses and the Ten Commandments in Exodus 19-20. Moses was a man who God was using. He called Moses to go up a mountain and He told Moses the ten commandments. These ten commandments are rules we should follow so we can live a God honoring life.